Peacock Picnics now offers Willamette Valley wine tours for 2 to 4 people complete with a rustic chef-made picnic experiences. 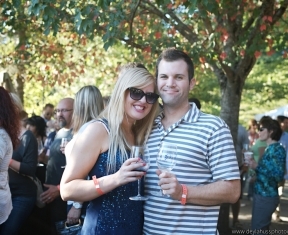 Come with us out to beautiful Oregon wine country to taste some of the best pinot noirs in the world. We will visit three wineries and end with a French picnic lunch overlooking the winery featuring locally made delicious treats. Baskets include: A fresh baked baguette with spreads including brie & tarragon, roasted red pepper & white bean, bourbon caramelized onion and more; plus house made pickles, thyme lemonade, fruit, & dessert. As a chef with 20 years experience in the Pacific NW, I look forward sharing my insider’s take on the unique food and wine culture of this beautiful and bountiful region. $78 per person including transportation and picnic lunch. Excludes tasting fees.